LHTLG History – Lesavich High-Tech Law Group, S.C. 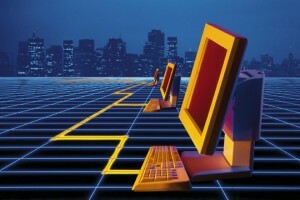 The Lesavich High-Tech Law Group, P.C., was founded by Stephen Lesavich, PhD in Chicago, Illinois in 2002. Dr. Lesavich left the parternship of a large law firm in Chicago to become an entreprenuer and start his own law firm. 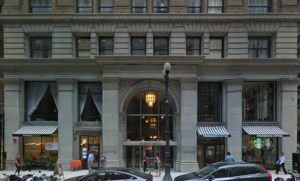 The firm operated at 39 S. LaSalle Street until 2013, when the building was sold and converted into a new hotel. Now operating as the Lesavich High-Tech Law Group, S.C., in new office space in Kenosha, Wisconsin, the firm continues to counsel high-tech start-up, emerging and established clients in all areas of intellectual property law and business law, worldwide. 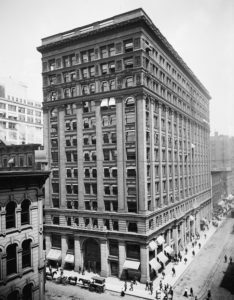 The building at 39 S. LaSalle Street has an interesting history. Originally called the New York Life Insurance Building, it is a 14 story building that was designed by William Le Baron Jenney, it was completed in 1894. The building was sold in 2013 and coverted from office space into the 281-room Kimpton Hotel which opened in 2016. Photo 1: Photo by Detroit Publishing Company – Library of Congress-Prints & Photographs online catalog, Public Domain Use. 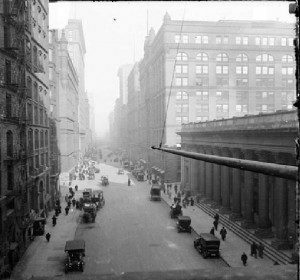 Photo 2: The Chicago LaSalle Street picture is a view from 1911 and is looking north on LaSalle Street from the Chicago Board of Trade building, showing the old Illinois Trust & Savings Bank at the southeast corner of West Jackson Boulevard and South LaSalle Street in the Loop community area of Chicago, Illinois. A flagpole is visible in the foreground as well as 1911 era vehicles. Photograph DN-0056435, Copyright © 1911 Chicago Daily News negatives collection. Used Courtesy of the Chicago Historical Society. Photo 3: Photo Courtesy of Google Maps. Public Domain Use.